On top of the cab is a handy basket. It will contain gasoline and an ammo box filled with gold and gem hunting tools. The trip will start in 2 months. I am beyond excited. 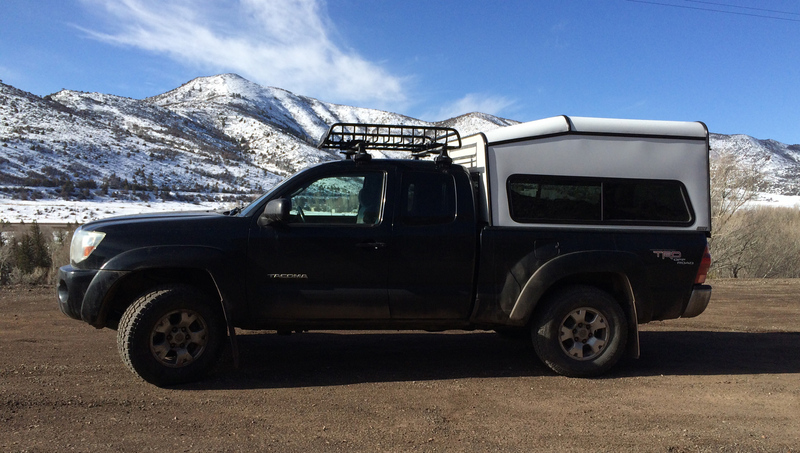 This entry was posted in Construction, Essentials, Projects, Truck Camping Hints and tagged basket. Bookmark the permalink. gold and gem hunting ? I thought it was meteors you were after ! Sounds like there could be an income after all. What’s left on the list ? Nothing left on the list. I love to hunt for bling … don’t seem to care what it is. It gives me purpose and exercise. I used to love to hunt for sharks’ teeth on the beaches. Hunting for bling in the desert is the same. A quiet mind and active eyes. That basket will be so functional. Perfect place for all my luggsge!